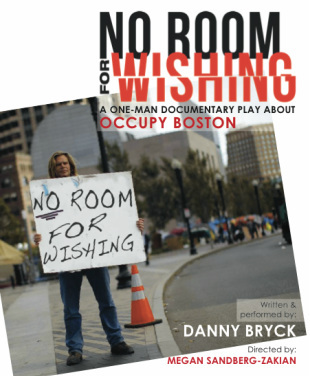 Compiled from interviews and live recordings during the occupation of Dewey Square in Fall 2011, No Room for Wishing follows Occupy Boston from its formation, through clashes with the police, legal battles and infighting among the activists, to its eviction by the city. 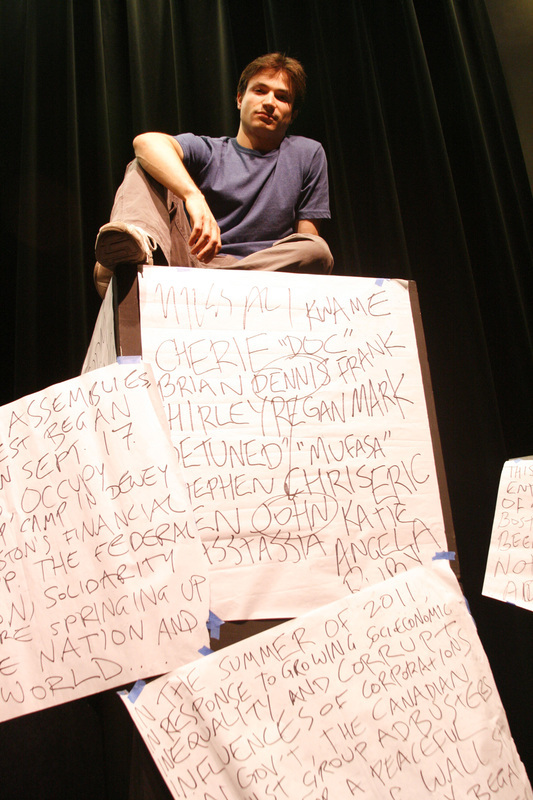 One of Boston’s most dynamic young theater-makers "embedded" himself at the heart of America's most explosive recent social movement; the result is a front-row seat for the complex, tragic, hopeful, and messy stories you never saw on the evening news. One performer portrays more than 30 real-life characters in this dazzling, nuanced, scary snapshot of a city and a nation. No Room For Wishing received its world premiere September 13-October 9, 2012, in a dynamic three-venue co-production between Company One at the Boston Center for the Arts, Central Square Theater in Cambridge, and Boston Playwrights Theater. 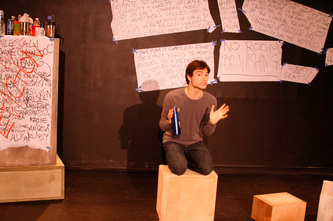 Critical acclaim was unanimous and the final two weeks of the run were sold-out. 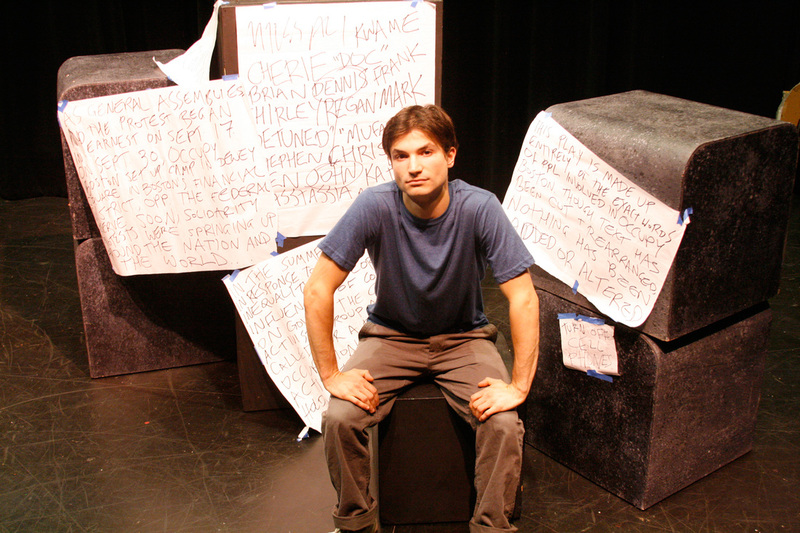 The show is now touring and is available for bookings. Read this great article from the Globe or visit the No Room For Wishing site to learn more! 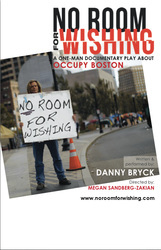 No Room For Wishing Trailer from No Room for Wishing on Vimeo. Photos by Shawn LaCount. Click on each photo to view large version.